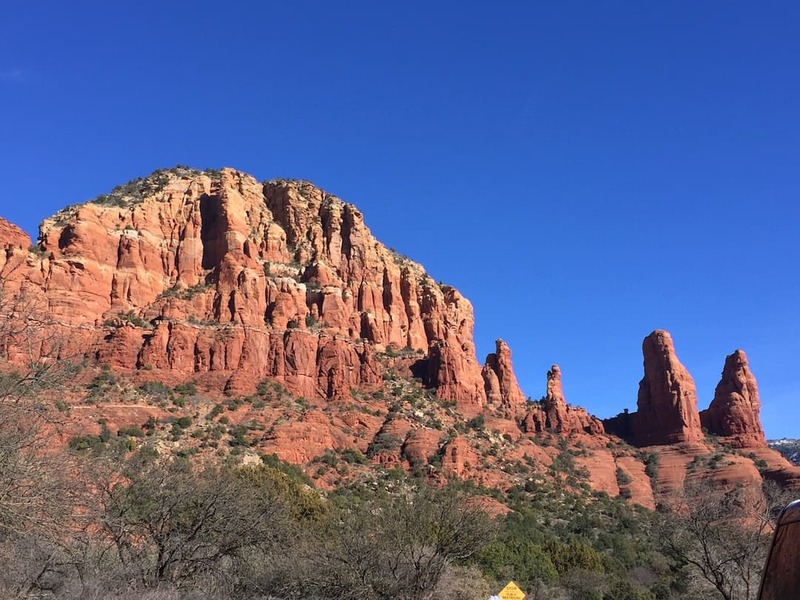 A variety of things to do in Sedona Arizona make this destination a don’t miss! 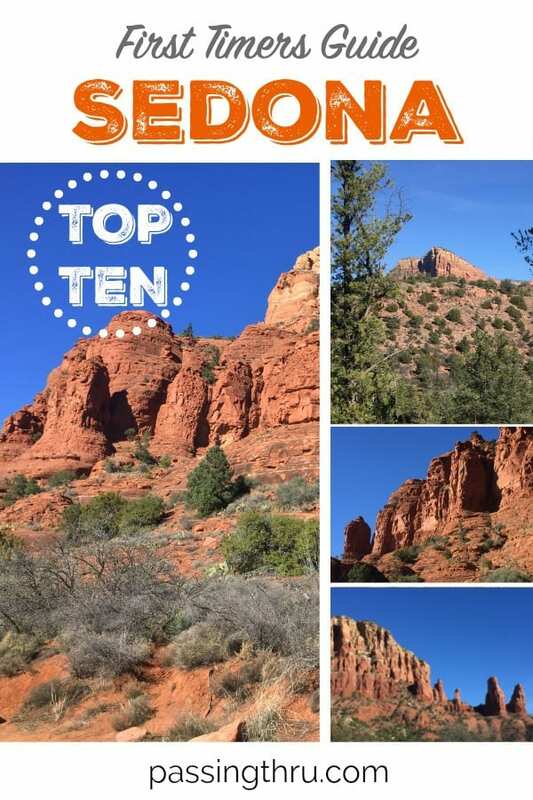 Heart-stopping vistas comprised of multi-layered rocky peaks, mesas, and obelisks make Sedona USA Weekend’s Most Beautiful Place in America. 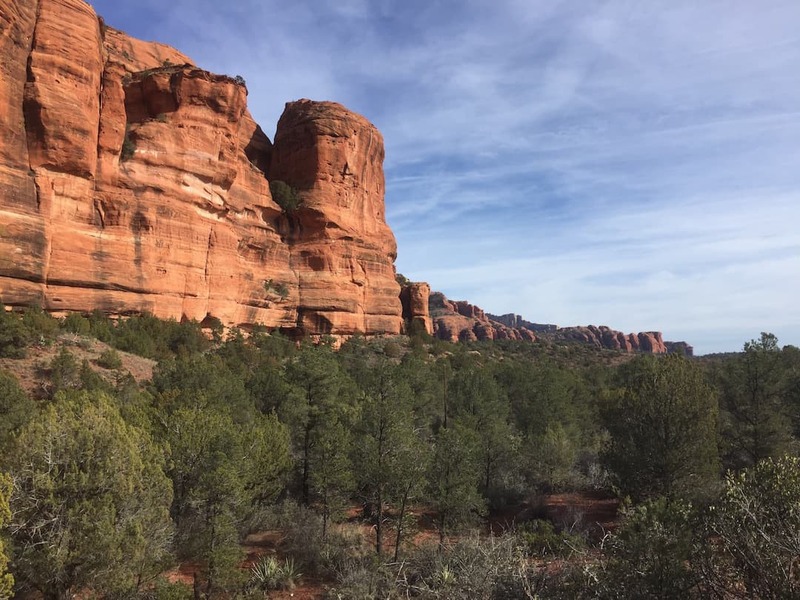 We were excited to visit as first timers and thrilled to discover so many cool things to do in Sedona Arizona, all amid the incredible scenery and friendly vibe of one of the most popular destinations in Arizona. 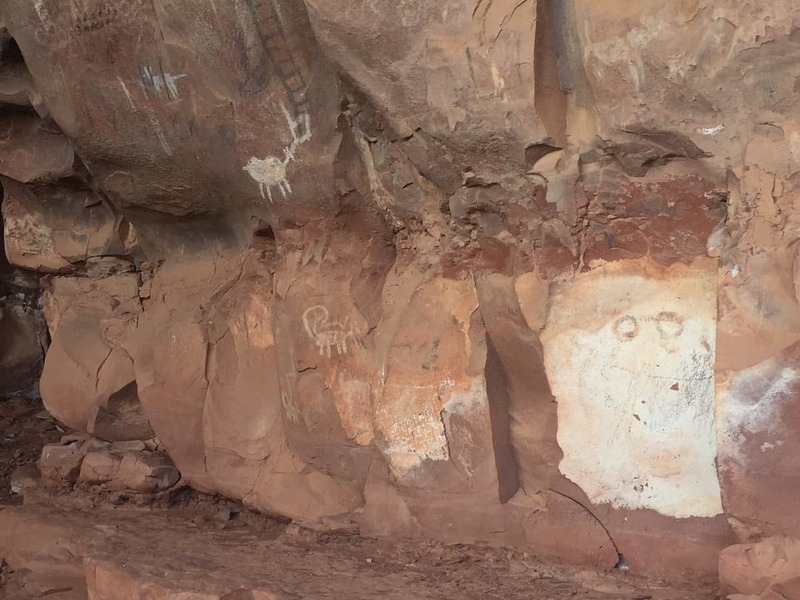 The area around Sedona has been home to humans for more than 10,000 years, beginning with Paleo big-game hunters and Archaic hunter gatherers. Archaic rock art from these prehistoric people, along with that of the Sinagua who arrived around 650 AD, adorns the rock formations around their cliff dwellings. Nomadic hunter-gatherers – Yavapai and Apache – arrived around 1300-1450AD. Early Anglo settlement began with farmers and ranchers who established orchards and livestock operations in 1876. 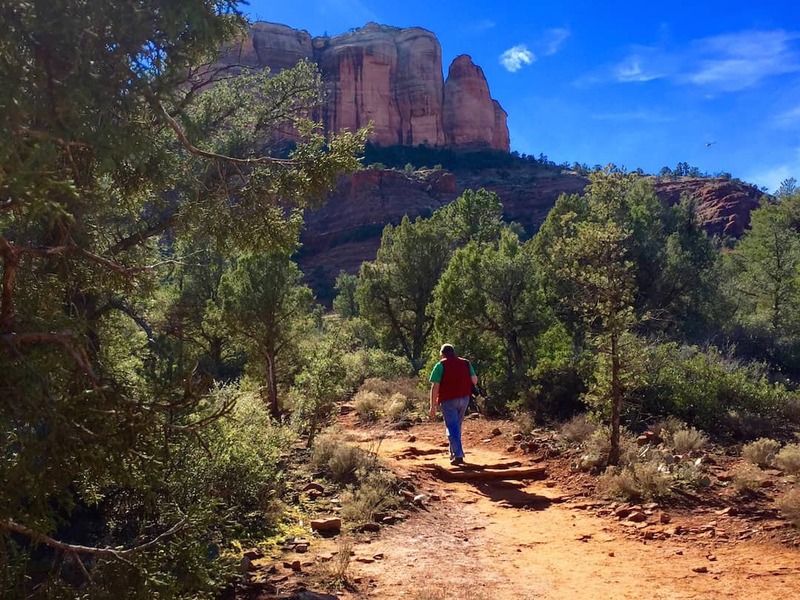 Sedona became a tourist and retirement destination beginning in the 1950s, and today is known throughout the world as a place to escape, relax, and reconnect with nature and spirit. 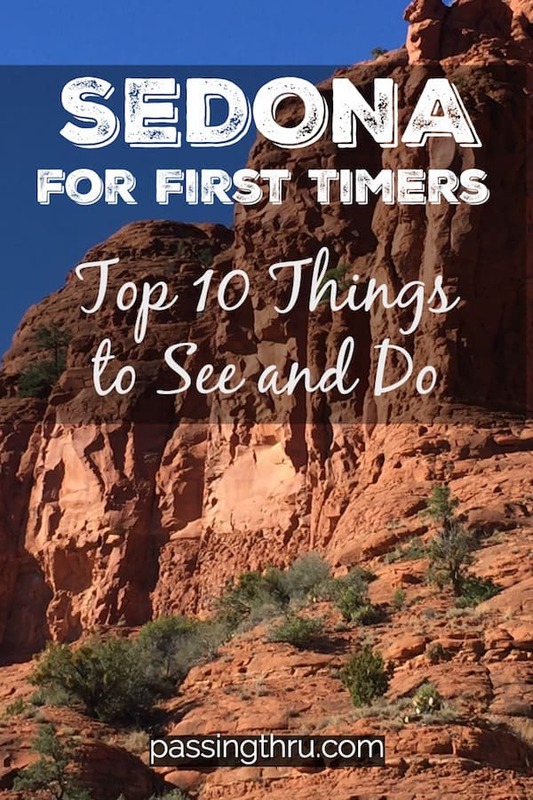 Use our top ten recommendations for Sedona first timers to plan the perfect combination of things to do and see during your stay! 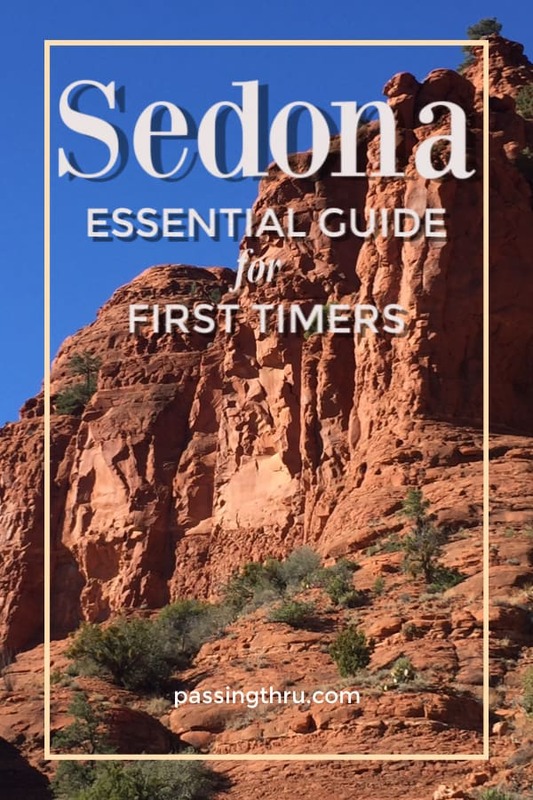 For great ideas to help you with planning your trip to Sedona, have a look at the curated items in the Travel Essentials section in PassingThru’s Amazon Store. 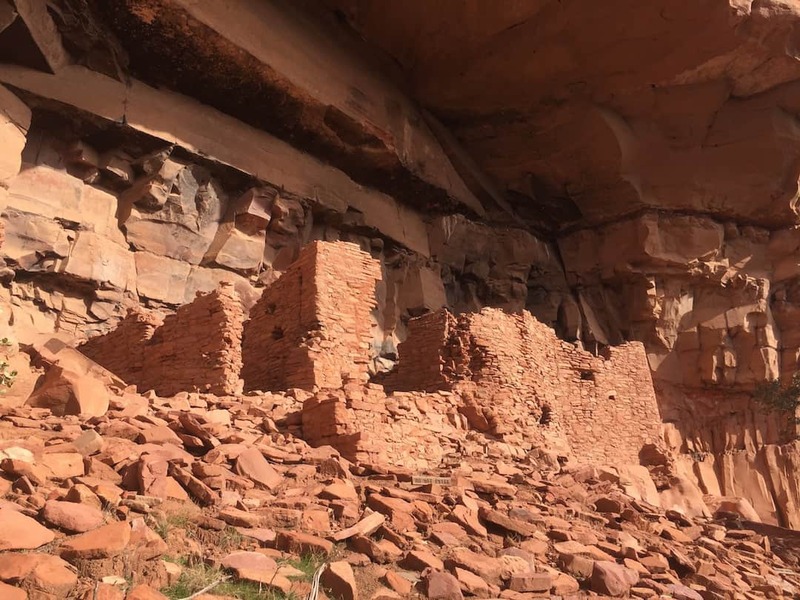 Ancient Ruins Honanki and Palatki are cliff dwellings built nearly 1000 years ago by ancestors of the Hopi Indians, called the Sinagua. 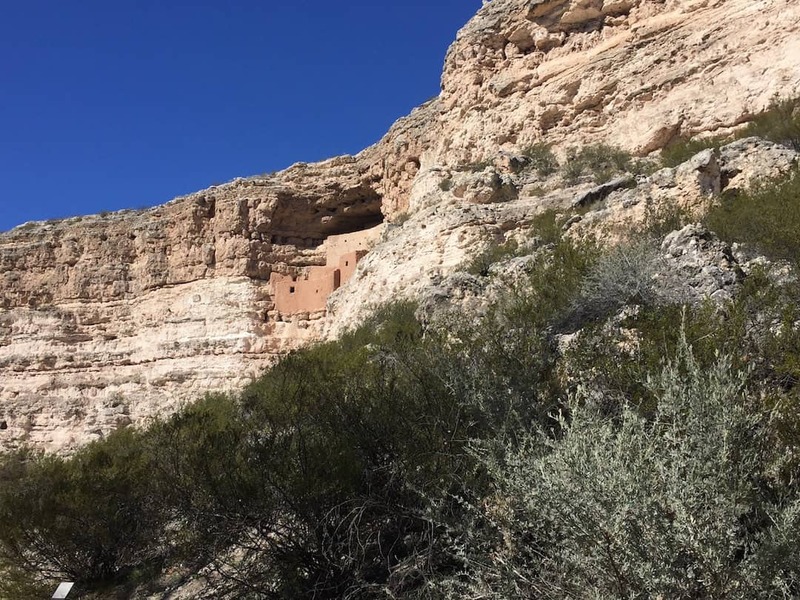 Beginning from about 1150-1350 AD, these two communities served as a home base for three separate cultures – the Sinagua, Yavapai, and Apache – who farmed and hunted in the fertile valley areas. 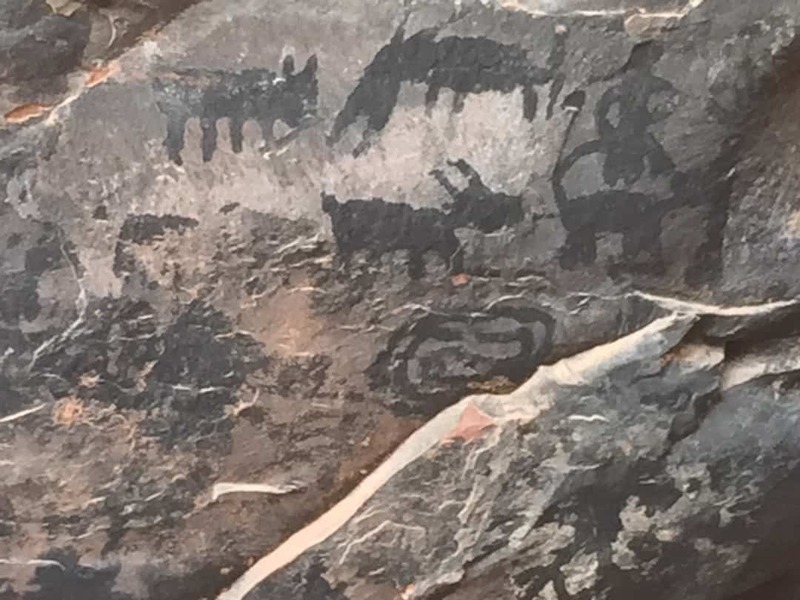 Each site has a considerable number of pictographs painted by artists who had learned to combine pigments with animal fats. 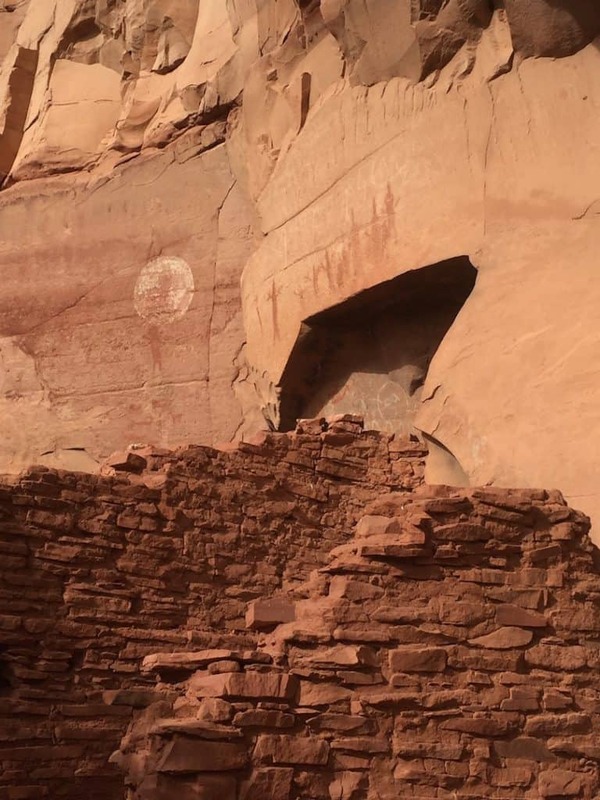 There are also petroglyphic carvings in the stone which may pre-date the communities. Ancient symbols appear to reference the sun and our solar system, native animals and hunters, a solstice-based calendar for planting, and conquistadors on horseback. Sites are staffed by knowledgeable Forest Service docents in both locations, open daily until 3:00 pm. Call Palatki for a tour reservation: (928) 282-3854. Note the road to Honanki is rustic and rocky. It may be challenging for non-high clearance vehicles. Our rental car made it safely, but it was very rough in spots. Roads to these sites may be closed during wet weather due to the risk of flooding. 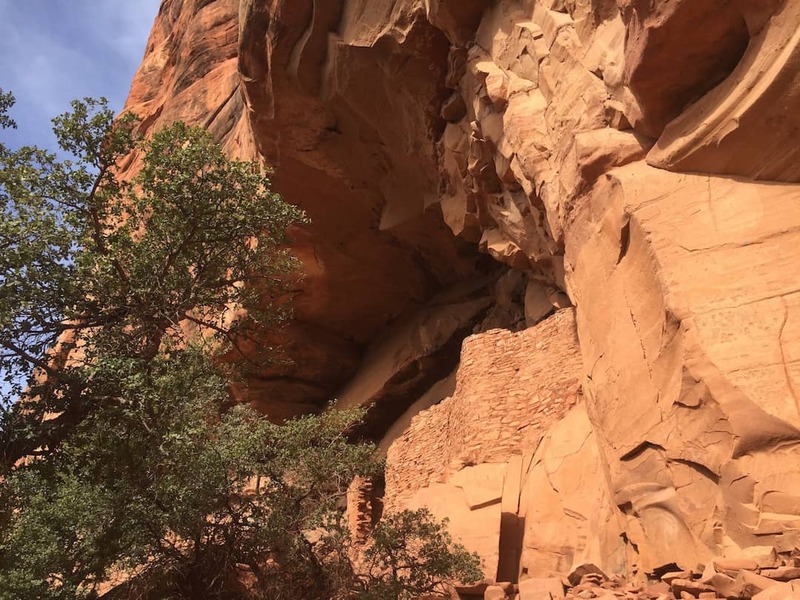 Even though the distance from Sedona is only a matter of a few miles, it will take you at least 30 to 45 minutes to get to each site respectively. Once you arrive, a bit of non-strenuous walking and climbing is required to reach the structures and art. Unfortunately, they are not wheelchair accessible. 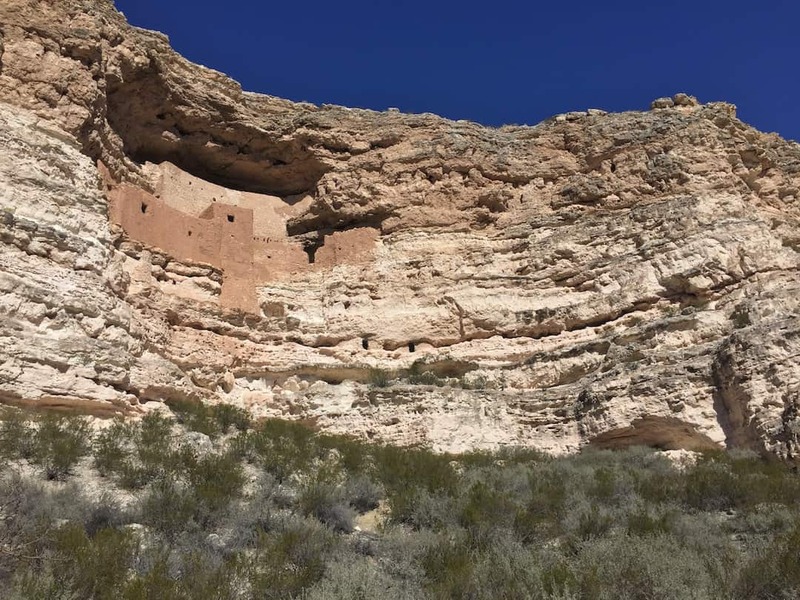 Montezuma Castle National Monument in Camp Verde is a beautiful, five-story Sinagua cliff dwelling overlooking Beaver Creek in the Verde Valley. Perfectly sited in a natural opening with overhang, the structure was built of mortared masonry for a community of about 50 individuals. The impressive Visitor Center here includes displays depicting Sinagua and Valley history, and a gift shop. This is where you’ll learn that the name is a misnomer. Early settlers believed this an Aztec community. The walking loop is flat and paved for comfort and accessibility, with interactive signage and a vintage diorama developed in the 1950s depicting the structural interior after access was limited due to the site’s fragility. 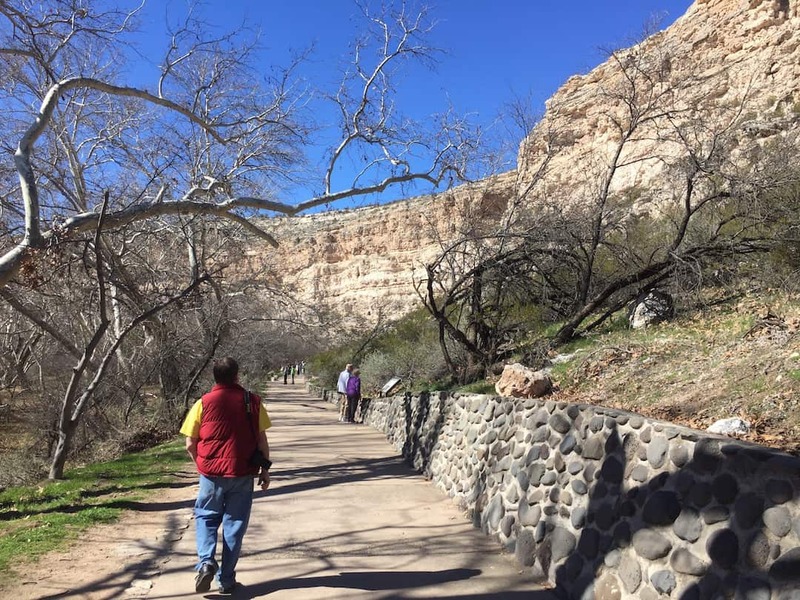 Honanki, Palatki, and Montezuma Castle are part of the Sinagua Trail Self-Guided Tour developed by the Verde Valley Archaeological Center, in cooperation with the U.S. Forest Service, the National Park Service, and the Yavapai-Apache Nation. Admission fees and parking passes apply. Please acquaint yourself with the Site Etiquette required to steward and preserve these ruins. Sedona Heritage Museum Once a family homestead, the museum focuses on history from 1876 to the present. The museum currently houses more than 3,000 artifacts, about 30,000 historic photographs and 300 oral histories and videos, as well as a research library of over 500 volumes, numerous clippings and documents. Oral histories are online here. 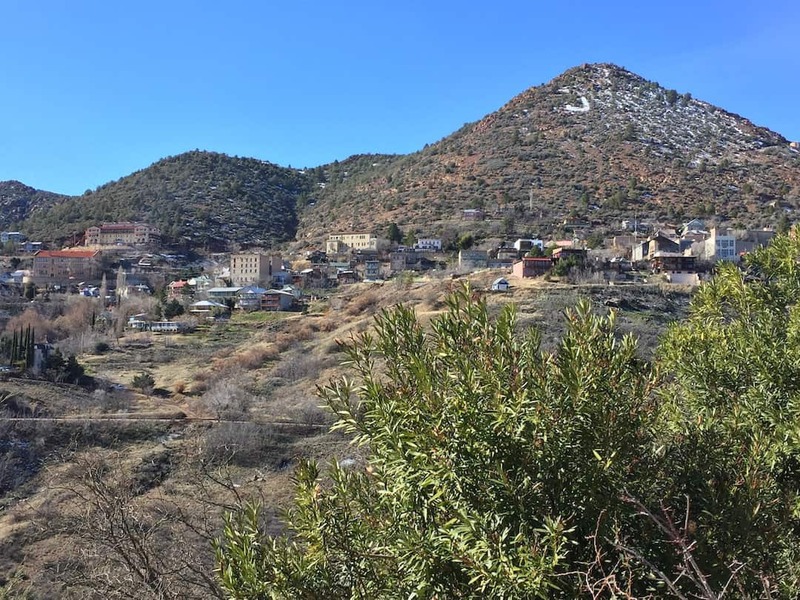 Day Trip to Jerome – With an intriguing history which includes once being the fifth largest city in Arizona, Jerome is a 19th century mining town anchored on the side of Cleopatra Hill about 25 miles from West Sedona. 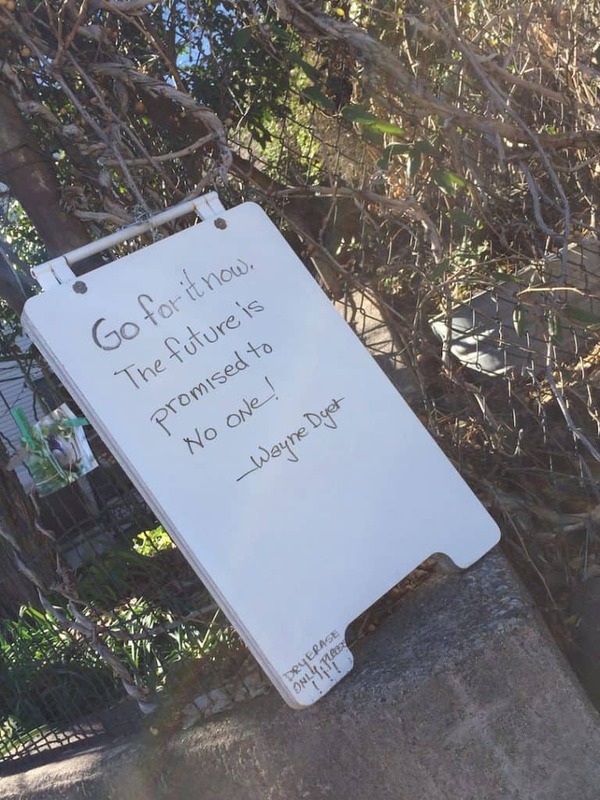 Relegated to ghost town status as precious metal fortunes waned, by the 1950s only about 50 residents remained. 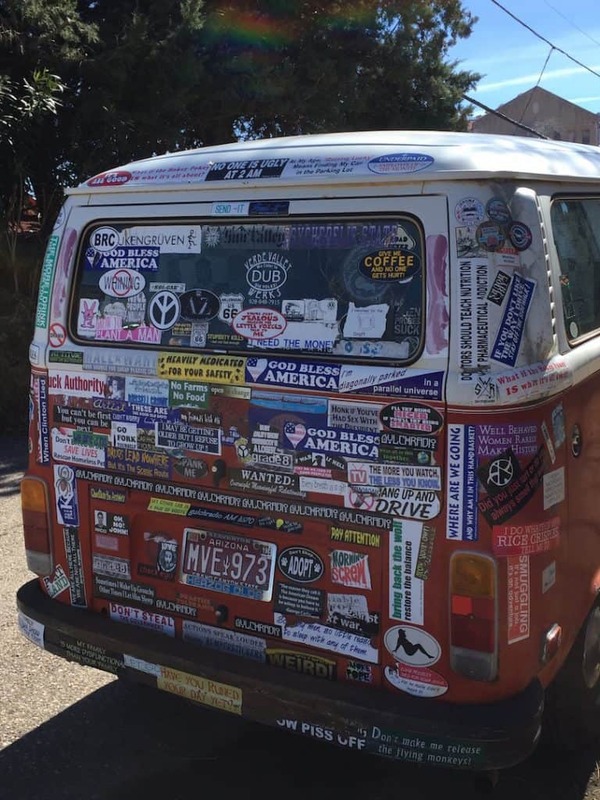 Now reborn as an art colony, Jerome attracts visitors who are interested in its mining history, arts and crafts, antiques, wine tasting rooms and haunted attractions. Native Americans mined the hills primarily for copper around Jerome for centuries before the Spanish arrived in the 1500s. At the turn of the 20th century, Montana Senator William A. Clark’s twenty year old lease of the original claim started to produce, aided by technological and processing innovations. His operation would go on to mine over $1 billion in gold, silver, copper, lead and zinc deposits. An influx of immigrants from Ireland, China, Italy, Mexico, and slavic countries came to work. In its heyday, Jerome boasted over 50 Chinese restaurants. 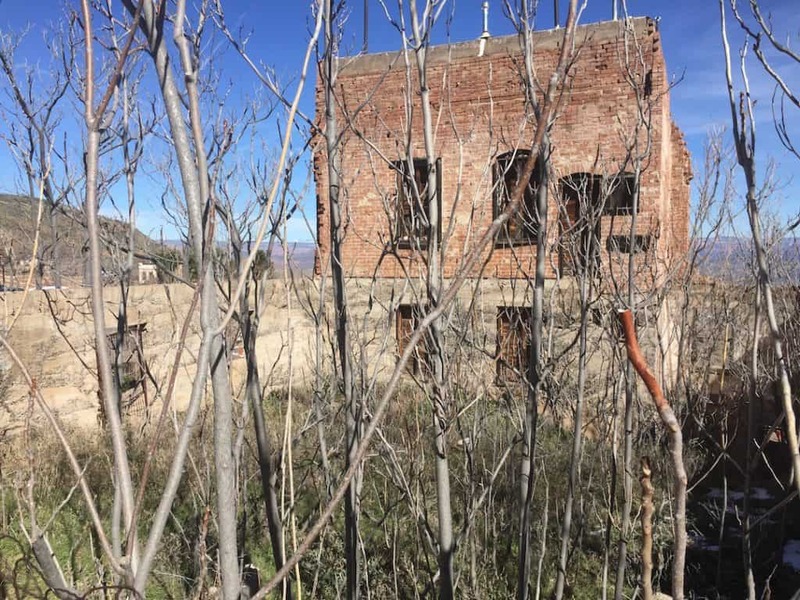 Prior to the Depression in the 1930s, Jerome had evolved into a prosperous company town with the mining companies providing liberal benefits and public works including sports fields and courts, swimming pools, a public park and library. Jerome was designated a National Historic Landmark in 1967. Nowadays there is a definite counter-culture artsy vibe in Jerome, and historic plaques will tell you which of the buildings you’re shopping, dining or staying in were houses of ill repute. Don’t miss: The Douglas Mansion in Jerome State Historic Park, a sprawling adobe residence built as a combination hotel for visiting investors and officials from the Little Daisy Mine and the Douglas family. Built in 1916, the house had a wine cellar, steam heat, marble shower and a central vacuuming system. A 30 minute video presents Jerome’s history, and the mansion’s view of the surrounding valley is stunning. Ghost hunters will want to book a stay in the haunted Jerome Grand Hotel, where ghostly sounds of breathing and coughing, temperature drops, and dusty odors materialize. Doors open, bathroom taps and lights go on and off on their own, orbs and apparitions appear. Interesting factoid: Jenny Jerome, a cousin of the founding family, had been introduced by England’s Prince of Wales to Lord Randolph Churchill in 1874, and bore a son, Winston, later that year. Energetic Vortexes are found at the intersections of ley lines (see our explanation of them in this post from our time in Istria), which are sites of powerful and transformational electromagnetic earth energy. Magnetic and electrical vortexes are thought to have yin (feminine) and yang (masculine) energy, respectively. Balanced vortexes have a mixture of both. New Age believers say visiting each type of vortex will provide different types of assistance in activities ranging from contemplation to resolve and perspective. 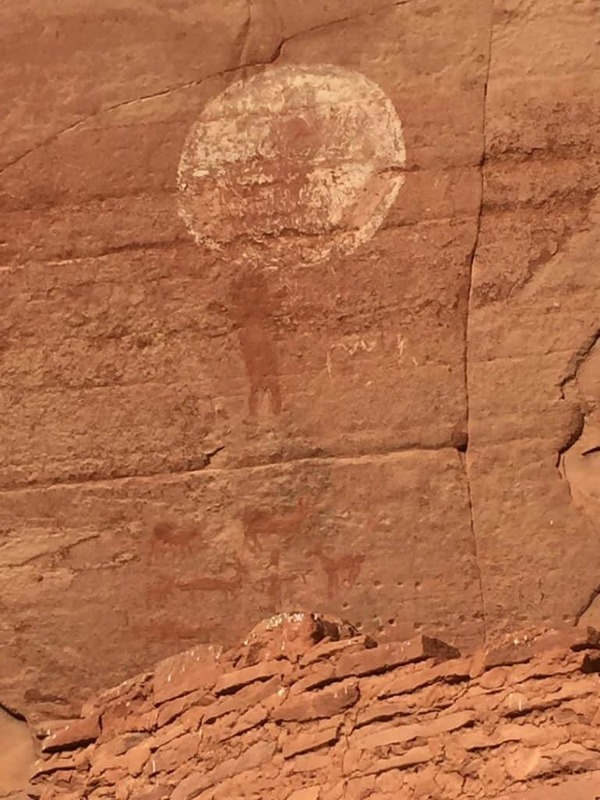 You will find discover several well-documented Sedona vortex sites long recognized by ancient indigenous people as having spiritual powers. People report feeling vibrations or tingling, changes in body temperature or a “rush” of perception. Many New Age thinkers believe Sedona’s concentration of vortexes will magnify the power of thoughts and emotions. Others are convinced that spiritual development occurs more rapidly here. 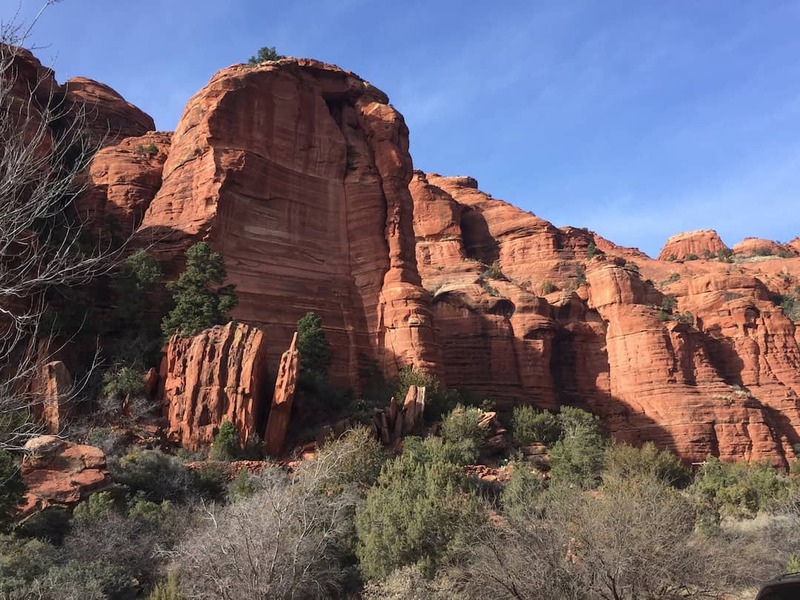 The main vortexes of Sedona are located at Cathedral Rock, near the Airport, in Boynton Canyon off Dry Creek Road, and at Bell Rock near the Village of Oak Creek. Click here for a printable map courtesy of Love Sedona. 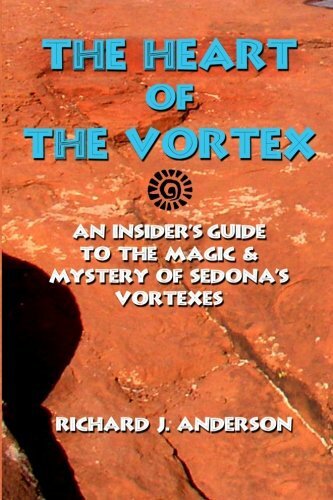 The Heart of the Vortex: An Insiders Guide To The Mystery and Magic of Sedona’s Vortexes – Great practical information for Sedona first timers on vortex locations, preparing for their energy, selecting and charging crystals and unique meditations. 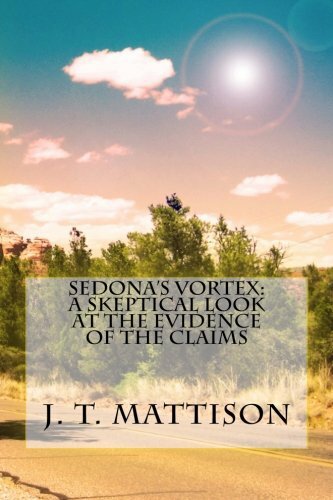 Sedona’s Vortex: A Skeptical Look at the Evidence of the Claims – From an author born and raised in Sedona, a thoughtful and balanced look at vortex myths. Geological, magnetic, topographical, and physiological data. 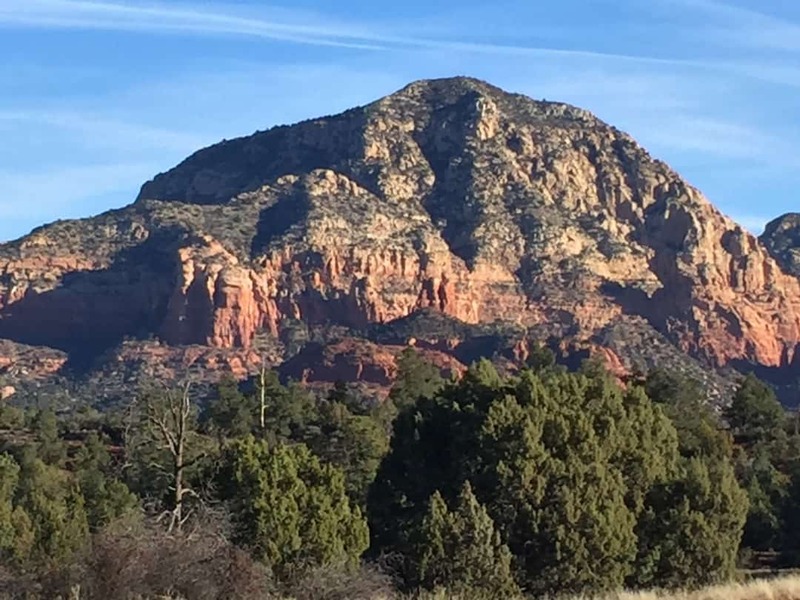 Unity of Sedona Center for Love, Peace, Joy and Abundance – In the New Age Capital of the World, Unity of Sedona is an energy vortex and New Thought church and spiritual center with a focus on the inner Christ. 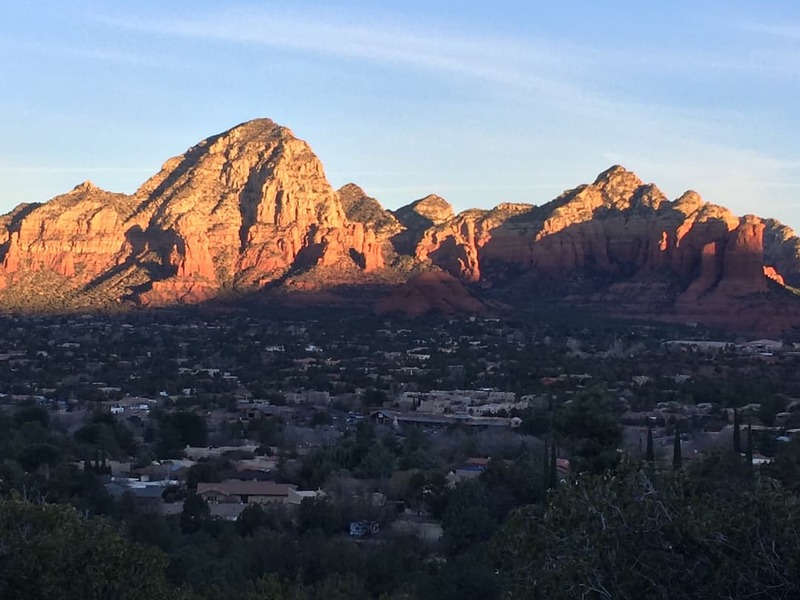 Founded in 1971, Unity of Sedona offers Sunday Sacred Services, education, concerts and gatherings, and a chaplaincy program. Labyrinth, bookstore and gift shop. 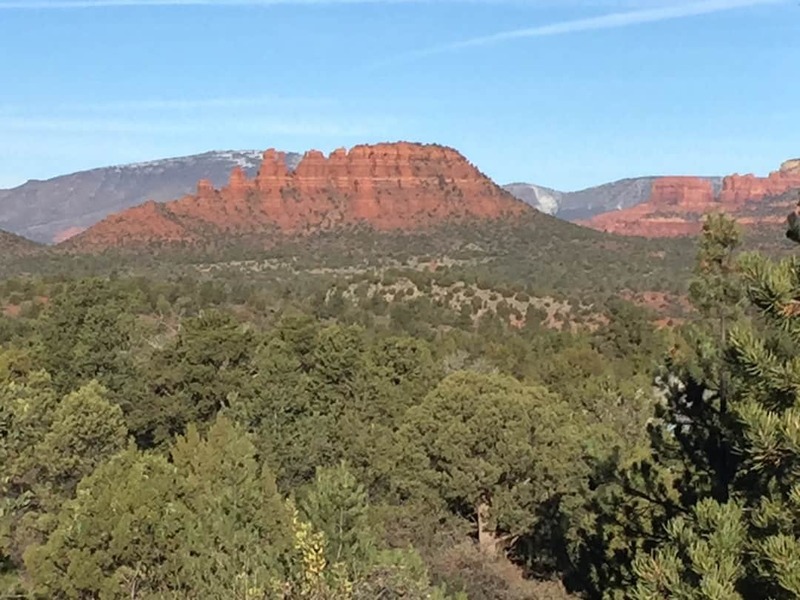 Sedona Yoga Festival – Deepen your yoga practice and connect using meditation, hiking and energy work. Special emphasis on yoga for PTSD. Illuminate Film Festival – Dedicated to using the universal language of film to uplift and inspire, along with Conscious Convergence filmmaker educational series. Membership program offering perks and discounts. 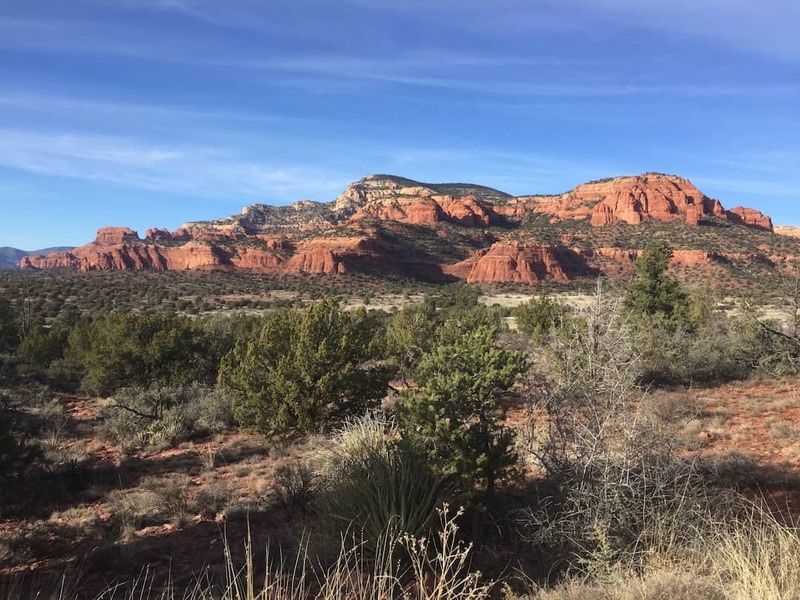 Private spiritual retreats from Sedona Soul Adventures offer a transformational, customized 3-day trip for singles or couples using a series of one-on-one sessions with a variety of practitioners. Helpful for those who are seeking meaning and purpose, significant others who desire a stronger relationship, or for those who have plateaued in their personal growth. Given the American Institute of Architects Award of Honor in 1957, the Chapel of the Holy Cross was commissioned by Marguerite Brunswig Staude, a Sonoma rancher and sculptor. She had originally wanted to build a church in Budapest with Lloyd Wright (the son of Frank Lloyd Wright), but WWII caused a change of plans. 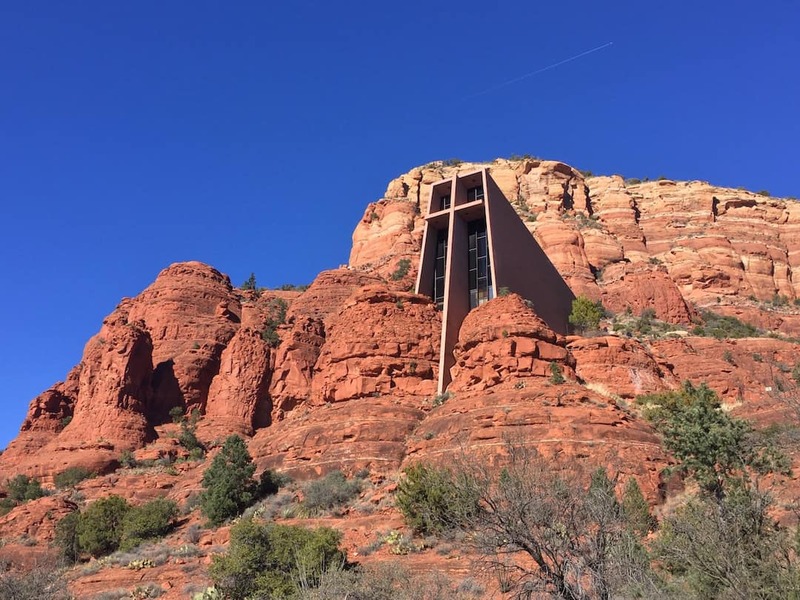 The late Sen. Barry Goldwater was instrumental in obtaining a special-use permit to build the chapel on Coconino National Forest land, and it was completed in 1956. The Chapel is also the site of one of the Sedona vortexes. The chapel is built from a 1,000 foot rock wall, rising 250 feet high as if to appear suspended in air. Click here for more information. 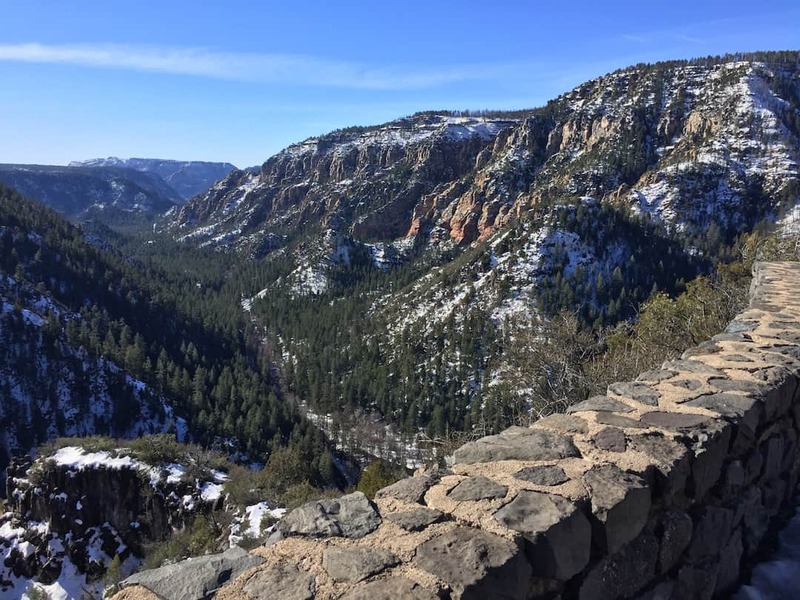 Oak Creek Canyon is usually experienced by Sedona first timers on the drive down from Flagstaff on Route 89A. This route drops a couple of thousand feet in a dramatic series of hairpin switchbacks before following the creek into Sedona. Only the Grand Canyon receives more visitors per year. Anglers can seek brown and rainbow trout in a technically difficult series of rocky pools easily accessible from picnic areas and campgrounds. Obtain your fishing license at the Visitor Center at Oak Creek Vista Overlook, or Indian Gardens in Oak Creek Canyon. Those looking for fishing guide services can find half and full day packages from Sedona Fly Fishing Adventures which include guide, gear and instruction. Discounts for 3 or more anglers, and corporate rates are available. Please book well in advance. 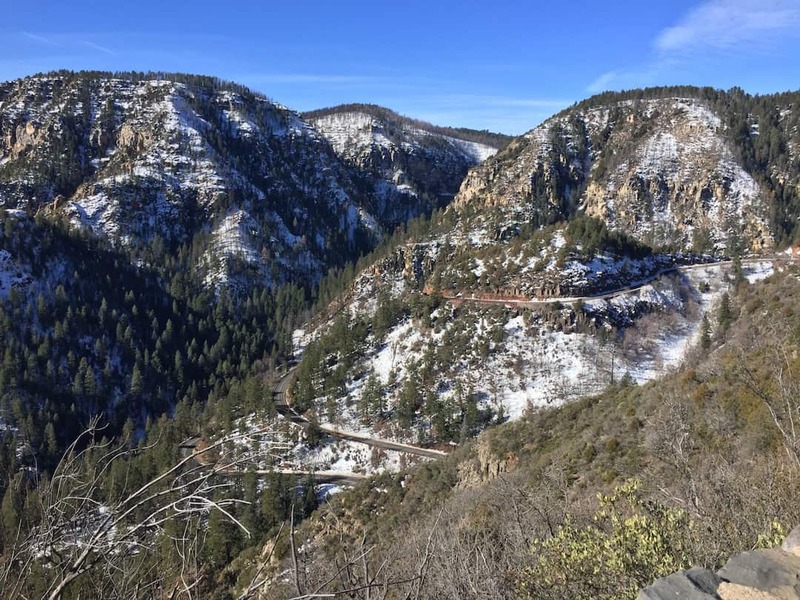 Five star resort accommodations in Oak Creek Canyon are available from Orchard Canyon on Oak Creek (formerly Garland’s Oak Creek Lodge) with rates based upon double occupancy which include full breakfast, afternoon tea and four course dinner. For an authentic, historic B&B experience on the creek, Briar Patch Inn offers accommodations in 19 different cottages dating from 1940. 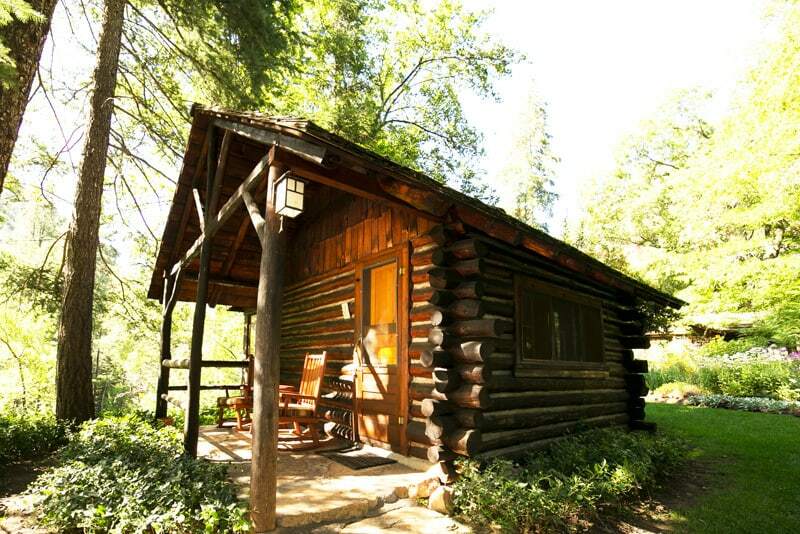 Junipine Resort offers one and two bedroom “creek houses” with fireplaces and full kitchens which sleep up to six adults. 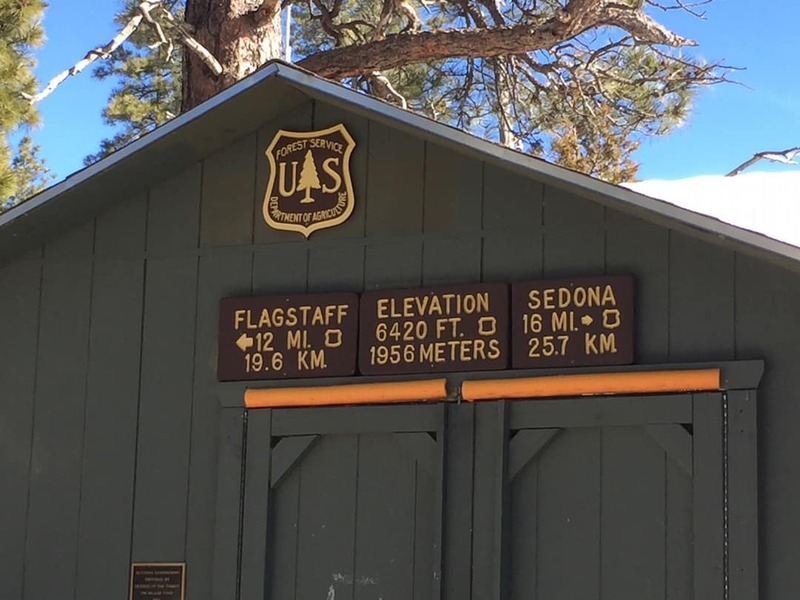 The U.S. Forest Service operates the Upper Oak Creek Vista and Canyon information center, and oversees the campgrounds, picnic areas, and trails in conjunction with Arizona State Parks. 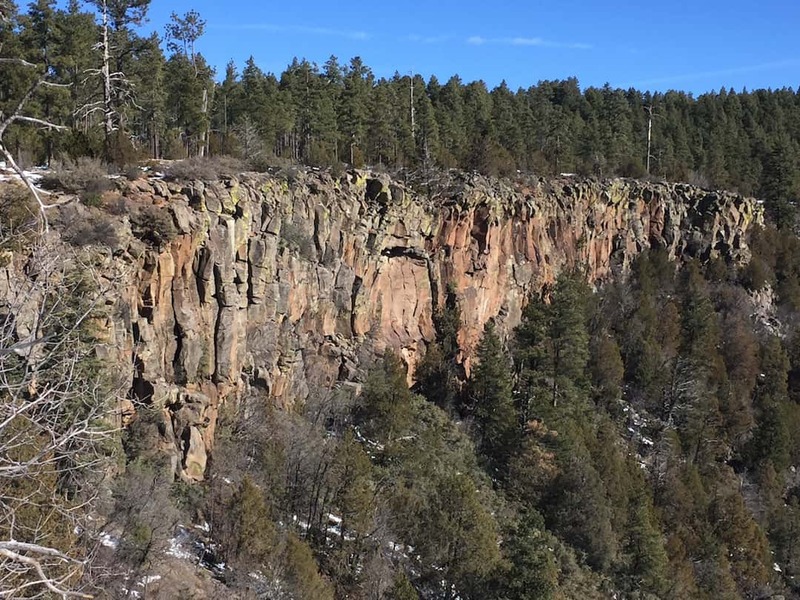 Camping – There are 3 developed campgrounds in Oak Creek Canyon; book in advance as campgrounds fill early. Most campsites are available early spring through mid-fall. Manzanita Campground (no trailers or RVs) is open all year. There are many Sedona events throughout the year. 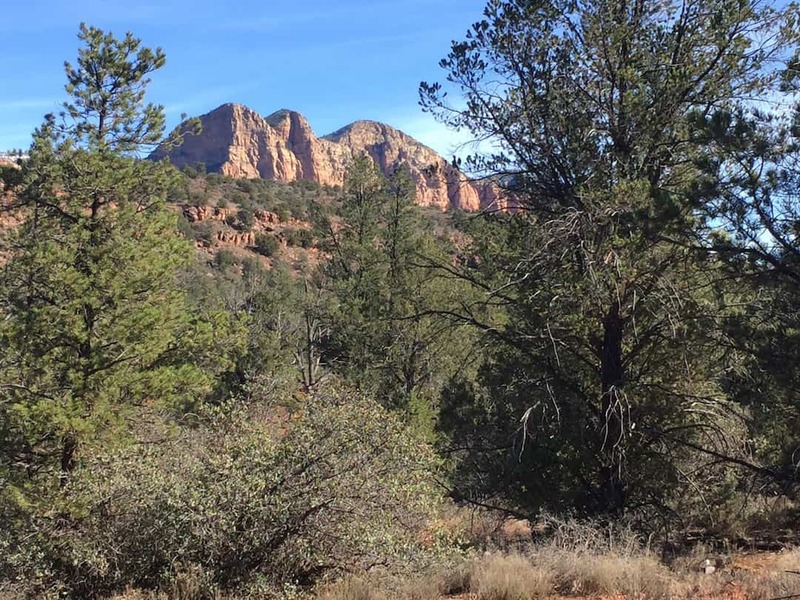 The Sedona Marathon was on while we visited with over 3500 runners on overlapping courses of varying length beginning at Bristlecone Pine Road through Boynton Canyon and environs. Sedona hikes are some of the most beautiful anywhere. 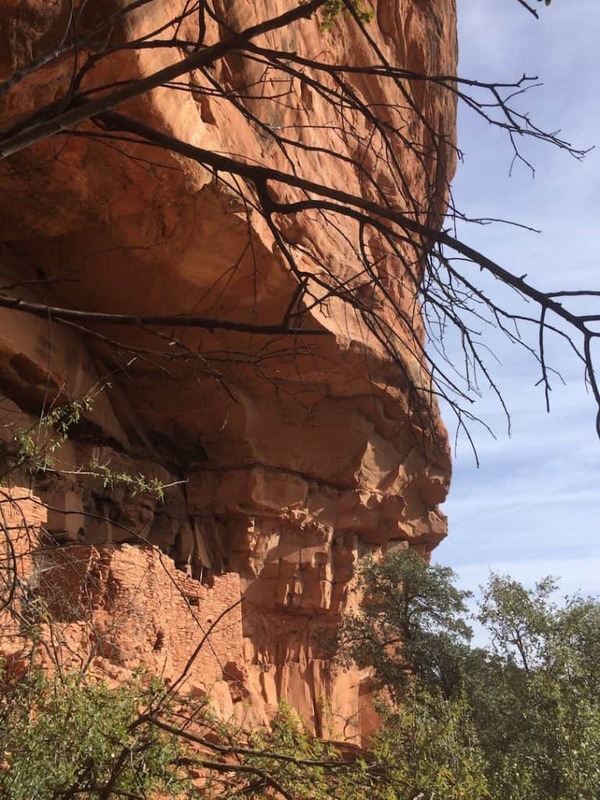 Hikers will want to visit The Hike House for gear and information on the many opportunities for hiking in the Sedona area. 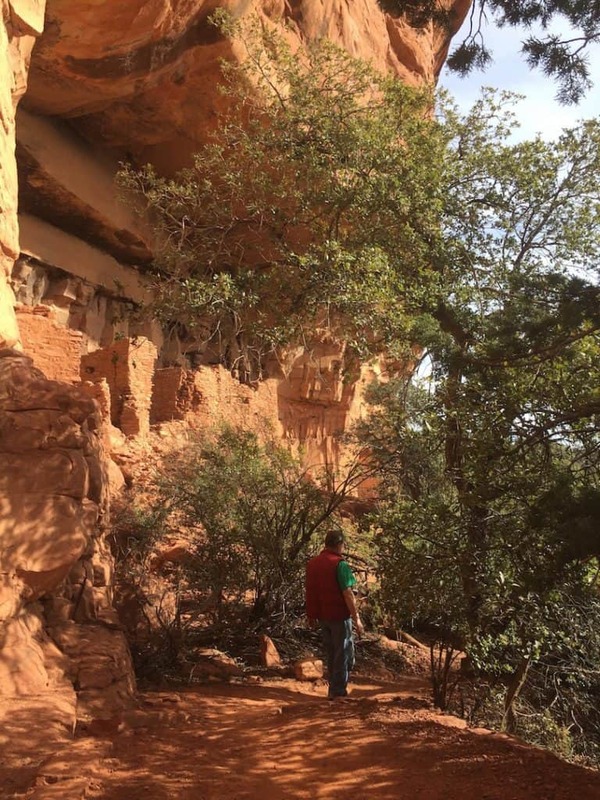 Sedona hiking trails are numerous. 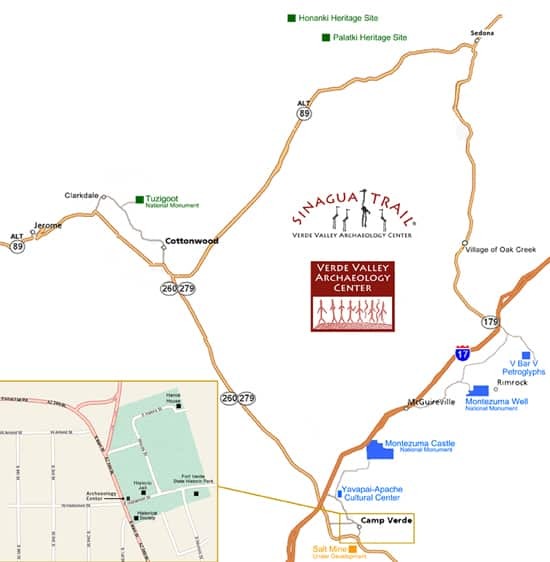 Download this Trails and Urban Pathways map for the best hikes in Sedona, AZ in a handy PDF format for printing or to use with your mobile device. 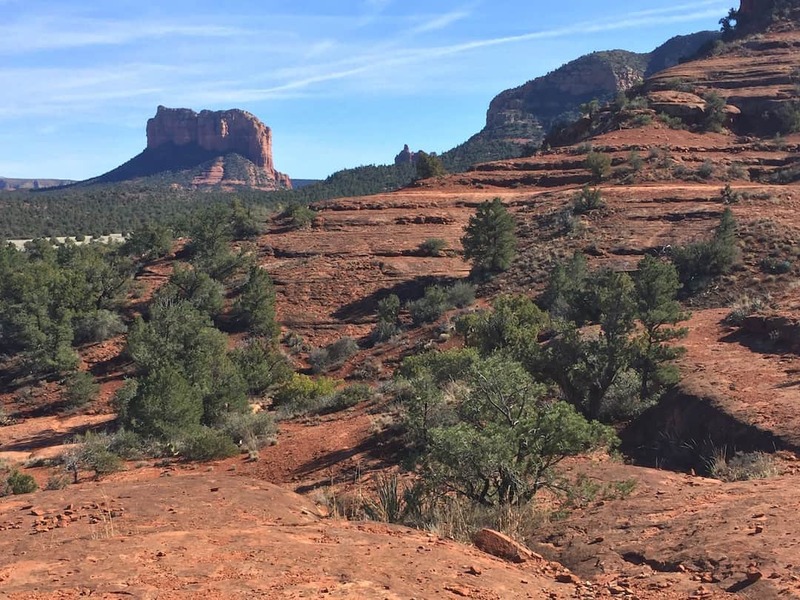 Mountain bikers now consider Sedona a bucket list destination with over 200 miles of single track and myriad recent media mentions. Hermosa Tours offers premium, guided day bike touring in half and full day increments for solo riders and groups. Tours include transportation, helmets and hydration, and catering for special groups. The Sedona Bike Skills Park is newly open for avid cyclists who want to perfect their moves. Mountain bikers and road riders alike will find information and equipment sales, service and rentals at Over The Edge Bikes and Absolute Bikes in Sedona. The Sedona Mtn. Bike Festival is a 3-day event which includes an expo/festival, demos, beer gardens, music. 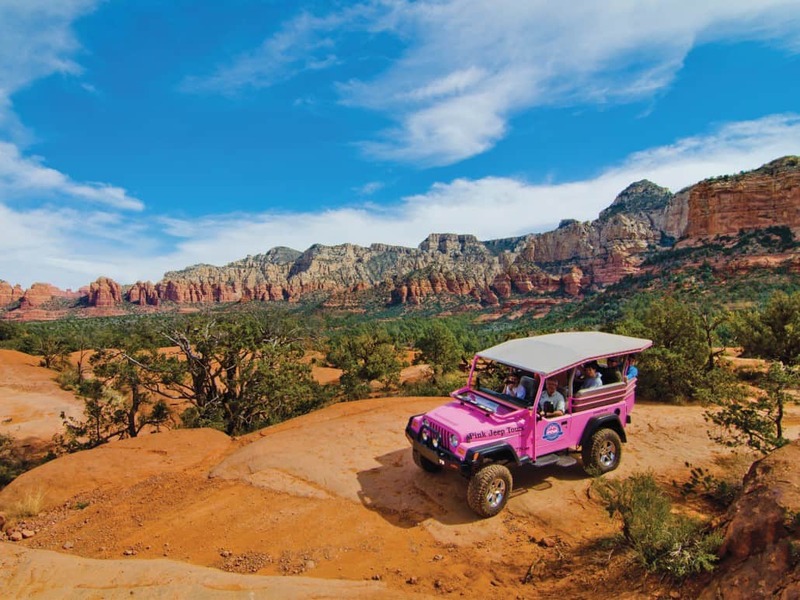 Pink Jeep Tours is the longest running and largest off-road adventure tour company in the United States. 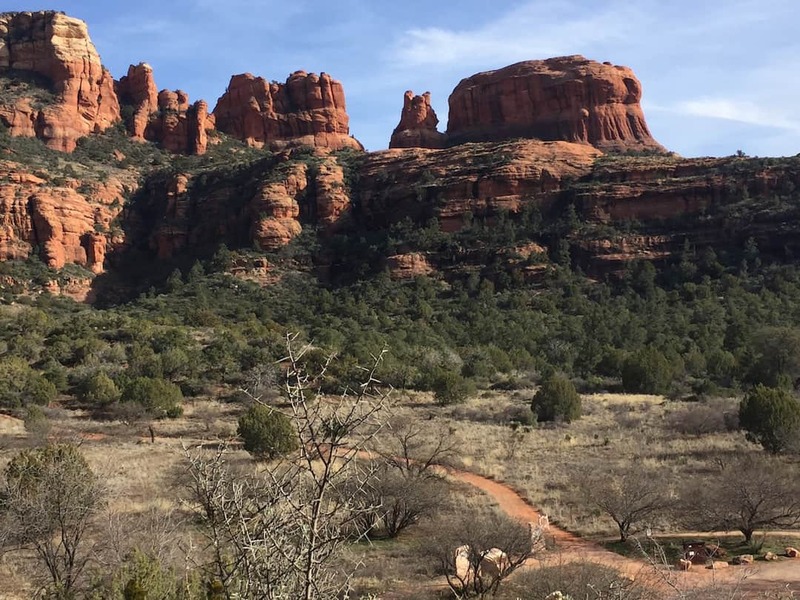 In Sedona, they offer a variety of fun touring options for those looking for scenery and off-road adventures. Open jeep wranglers or enclosed luxury vehicle options available around Sedona or as far as the Grand Canyon with professional guides. Horseback combo tours available. 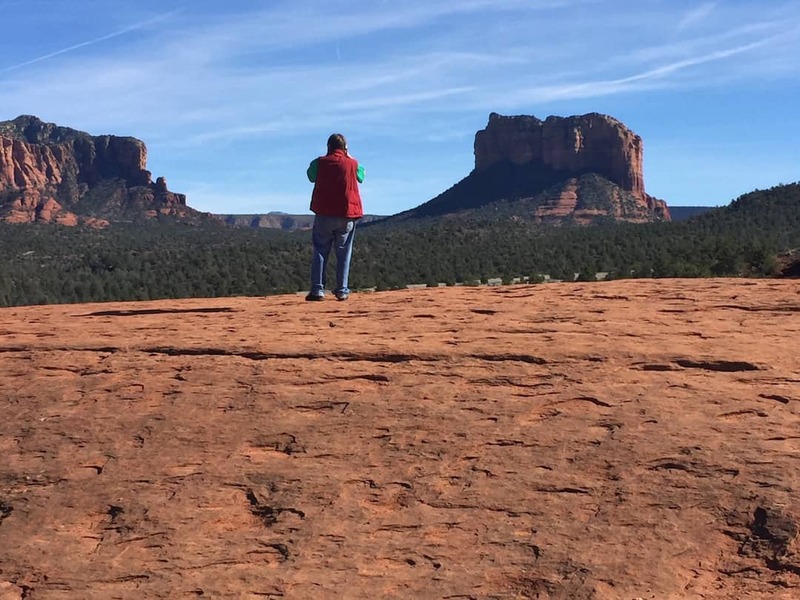 Red Rock Western Jeep Tours is Sedona’s “Original Cowboy Tour Company,” offering rugged and scenic jeep tours, horseback rides, helicopter rides and group events. Tours leave on an hourly basis every day of the year except Christmas. Jeeps seat six, rain ponchos available. Arizona Safari Jeep Tours have retrofitted Jeeps and experienced tour guides with extensive backcountry knowledge. Scenic tours range “from mild to wild.” Exclusive Wildlife Safari tours depart one hour before sunrise with a chance to see elk, deer, turkey, bear, coyote, bobcat and more in three different ecological zones. Evening departures available. ATV rentals can be obtained from Sedona ATV and Red Rock ATV. Both offer street legal ATVs and buggies for experienced or novice riders alike in half and full day increments. Two, four, and six passenger vehicles are available with additional services such as helmet cams, accurate trail maps and refreshments. Drivers must be 18 with a valid license. Renters must be 21 with full responsibility for equipment and those whom they let ride. Tlaquepaque Arts and Crafts Village has shops, galleries, restaurants and cultural events. Founded by art lover Abe Miller, who envisioned a lively creative arts community in the spirit of the Spanish Colonial plazas of Mexico. Garland’s has authentic, collector quality Native American art: Hopi Kachina dolls, Navajo paintings and rugs, pottery, baskets, and jewelry. Sedona Arts Center has been a gathering space for artists to work, teach, exhibit and learn since 1958. Classes, workshops, field and gallery exhibitions, and member events. Sedona Arts Festival is a fall juried arts event. 2017 dates: October 7 and 8. Consult their Facebook page for information while the website is under construction. Red Rocks Music Festival (August) is a collaborative effort bringing classical musicians and education together for learning and performance. 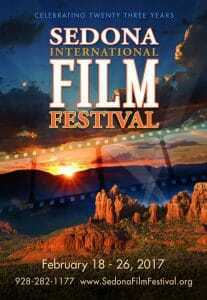 Sedona International Film Festival – Independent shorts, documentaries, animation, foreign and student films. One of the top film festivals in the nation. An adventurous overhead perspective from hot air balloon, helicopter or airplane can be had from any number of quality tour operators in Sedona. Choose from a variety of expeditions, including vintage biplanes or traditional fixed wing plane tours, doors off or on helicopter configurations, and sunrise ballooning. One of the most surprising things about Sedona is the burgeoning wine producing community in the region. A variety of tasting outlets and independent vineyards in the Verde Valley will tempt the oenophile with unique personality and flavor. Check out the Verde Valley Wine Trail for details. Oak Creek Brewery – Fred Kraus, who learned to brew fresh beer in Germany, opened Oak Creek Brewery in 1995. Awards include silver medal at the Great Arizona Beer Festival in 2011, and bronze medal in the Brewer’s Association World Beer Cup in 2006, Gold and Bronze Medals North American Brewers’ Association in 2002, Silver Medal North American Brewers Association 2001. Oak Creek Brewing Company uses spending, which is a natural carbonation process which results in finer bubbles for a smoother taste. Oak Creek’s Brew Pub is Sedona’s only brew pub offering premium beers stored in copper serving tanks behind the bar. Theater kitchen with rotisserie and wood-fired ovens in an old world setting in Tlaquepaque Arts and Crafts Center. L’Apothecary at L’Auberge – This Sedona spa resort Signature treatments, custom face and body treatments, massage, integrative therapies, private yoga and meditation on the site of the 5-star L’Auberge Resort. Flower essences, guided breathing, acupressure, reflexology, exfoliation, hot stones, antioxidants and skin renewals. Special service: Forest Bathing, based upon the Japanese practice of Shinrin-Yoku. An immersive natural experience designed to open the senses, quiet the mind and forge a deeper, more meaningful connection with nature. Sedona Salt and Sole – Halotherapy (dry salt therapy) is an inhalant therapy designed to fight infection, reduce inflammation and pain, and improve the skin and respiratory system. Good for those who suffer from reduced lung function, allergies, asthma, psoriasis, eczema and itching. Helpful for stress and anxiety reduction, better sleep, as well as arthritis and muscle pain. Foot treatments include salt soak and exfoliation, paraffin wax moisturizer. Crystal in Sedona is another one of the spas in Sedona, AZ that provides therapeutic massage, intuitive bodywork and energy healing using a mind-body-spirit approach to health and healing. Full massage menu incorporating ayurvedic, cranial sacral, reflexology, swedish, aroma and thera-stone massage therapies. Oaxaca offers a more than 40 year tradition of serving Mexican specialties from scratch. Margarita menu offers six flavors, including prickly pear. Official “tequileria” designated by tequila.net with premium tequilas and mezcals. Try the enchiladas filled with fresh avocado and sour cream. Cowboy Club – in the spirit of the original Oak Creek Tavern dating from 1946, today’s Cowboy Club serves a unique blend of “high desert” cuisine. Avoid waiting for a table by sitting at the bar. Enormous onion rings and tasty sweet potato fries accompany big burgers and juicy sandwiches. Hungry man-sized dinner entrees and generous liquor pours. Olde Sedona Bar and Grill – We love a place filled with locals that bills itself as a “family bar and grill.” While the menu isn’t particularly distinguishable, Olde Sedona serves good quality and quantity at prices which are a bit more budget friendly with daily specials you can load up on. Outdoor patio and shaded patio dining, pool table in the bar, happy hour 4-7pm, live music some days at 9pm. Cafe José has a menu combining award-winning Mexican and American entrees made fresh from scratch, which aspires to be the best value in Sedona. Winner of “Sedona’s Best Lunch” in 2015, exceptional wait staff, hearty breakfast served all day, 5:00 specials every day. Pisa Lisa – Owner Lisa Dahl is committed to build upon a twenty year reputation for quality wood-fired pizzas and authentic Italian cuisine. Pizzas here come out of the oven on a bit more substantial thin crust with just the right amount of crispiness. Tapas, antipastos, panini and pasta. Artisan gelato and sorbetto, tiramisu, cannoli, panna cotta, biscotti, affogato. Daily “Leaning Tower Hour” specials at the full bar. 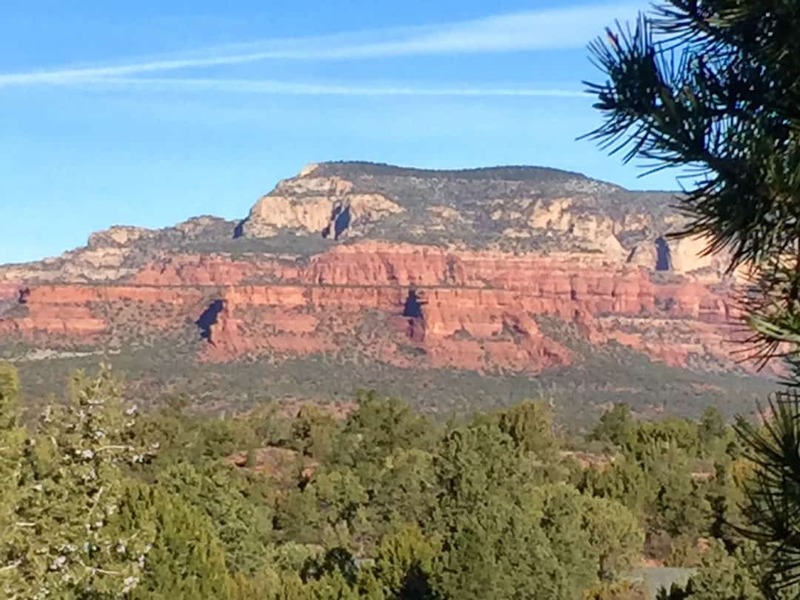 We stayed at Sedona Summit Resort, a Diamond Resorts International property, using a timeshare exchange. This was a convenient and comfortable option: we had a studio lock-off unit with a queen bed, sofa bed and kitchenette. Larger units are available with full kitchens, washer/dryer, fireplaces and king ensuite with jetted tub. Nightly rates begin at around $119 with seasonal variations. Resort amenities included several heated outdoor pools and hot tubs, game room, and fitness center all in pueblo-style buildings decorated in southwest style. Click here to discover other places to stay in Sedona. 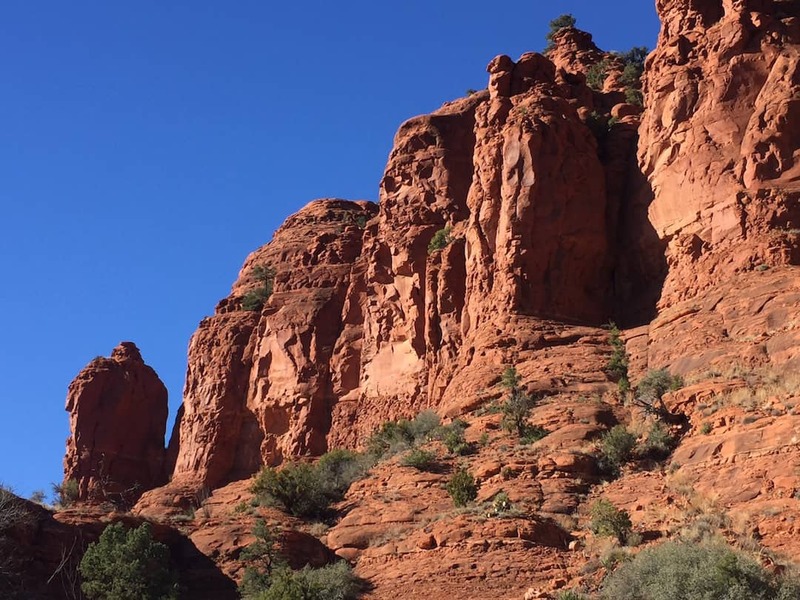 Tips and Practicalities: Sedona is located at a very high altitude. Remember to acclimate before attempting strenuous physical activity (alcoholic beverages may have an enhanced effect, also!). 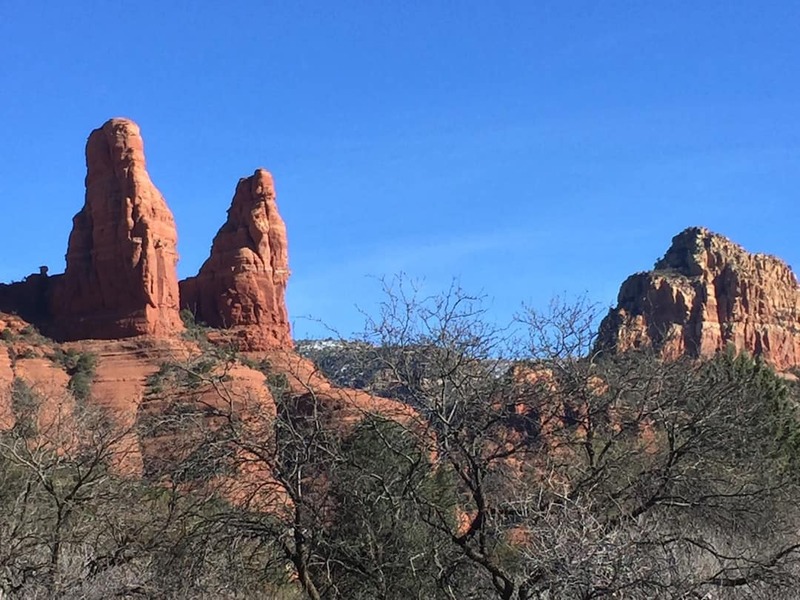 Consider visiting Sedona in shoulder and low season. We visited in late January with comfortable, sunny temperatures in the high 60s during the day, chillier at night. Beautiful post Betsy, Sedona is one of those places that should be a lot more famous than it is. More interesting than the Grand Canyon, more accommodating than Flagstaff, more beautiful than Phoenix, one wonders why Sedona hasn’t attained more fame than those three cities. 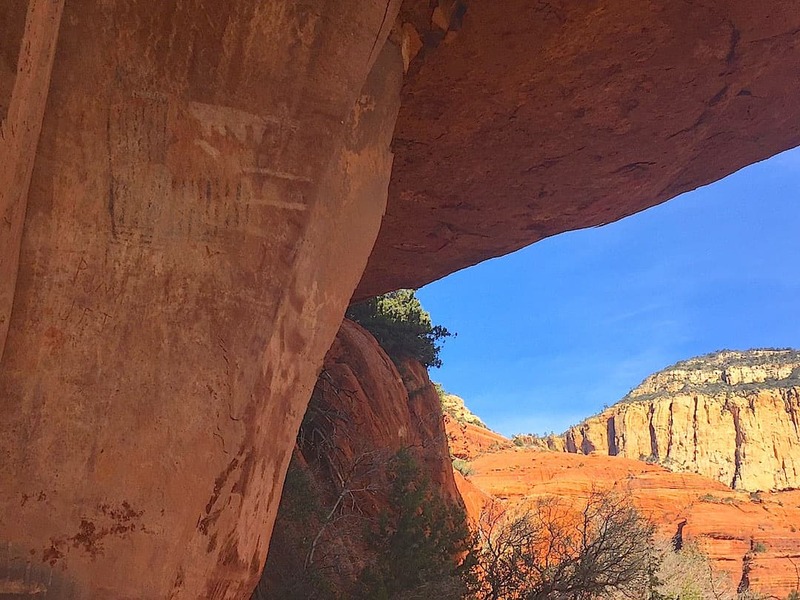 Possessive of more natural beauty than the girl next door, Sedona’s red rocks and greeneries makes for art of the most natural kind. 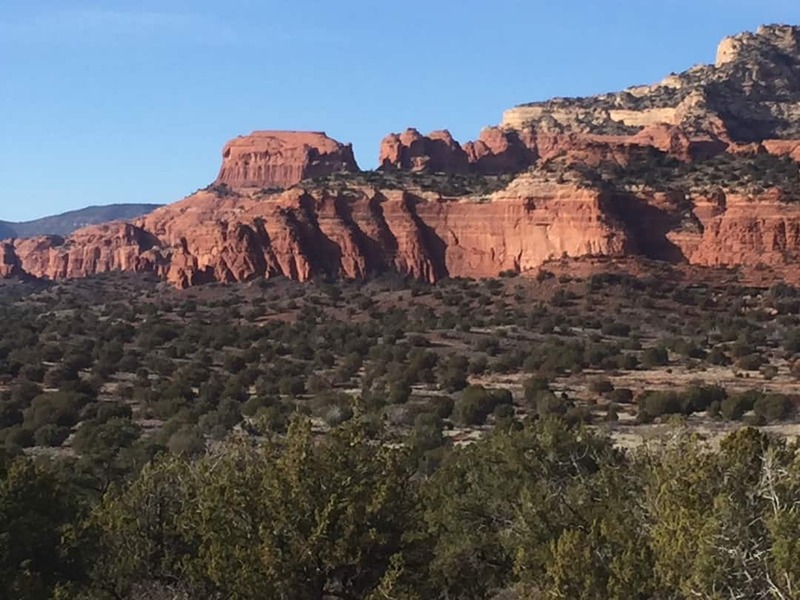 While the words ‘red rocks’ do not necessarily scream excitement for most people, people of a certain bend will enjoy looking around the many hills, mountains and trails for their favorite formations. Photographers will enjoy taking pictures of almost anything within the area; any bad pictures taken here are definitely the fault of the camera holder. Hi Alice – Thank you so much! Agree completely. I Ann so excited To have found this blog. We are traveling to Sedona in March next year for my 50th birthday. This is the perfect, thorough guide for us. Love it. Hi Jenny – So glad you found it helpful and I hope you enjoy your stay. March is a perfect time to visit. Looking soooooo forward to visiting Sedona in The Spring of 2019. I will be referring back to your blog for planning daily outings. We are getting ready for first trip to the Grand Canyon, Segovia and the Antelope Canyon. We will be flying into Phoenix in March of this. Your blog was so informative and helpful. It wa great to read. I’m going to reading more on the Vortexes. This just amazes everyone. Iwastofeel the energy!